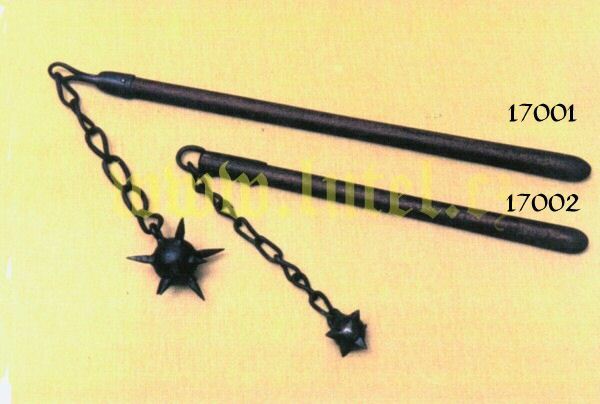 Central Europe - 15th centrury Iron ball with nine spikes, chain, socket, wooden handle, blackened. Handle with socket 67 cm chain 180-200 mm, ball 40 or 45 mm. Weight 1,3 kg.